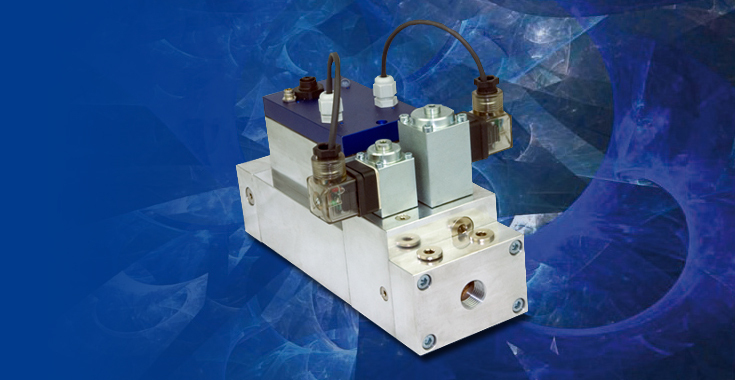 The measurement of the flox[on] mass flow controller is temperature and pressure compensated with a very high control accuracy in the lower and upper flow ranges. 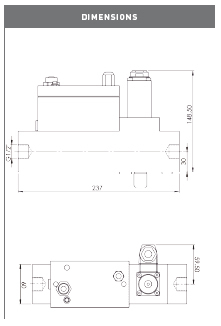 The adjustment control of the mass flow controller uses a pressure compensated proportional valve of the most recent design, which makes it unsusceptible to pressure fluctuations in the in- and outlet. 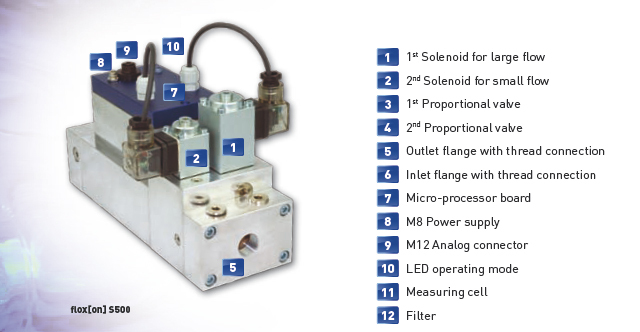 The flox[on] mass flow controller is equipped with a high-performance micro-controller. This guarantees an unusually quick and dynamic regulation. 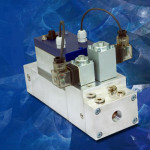 The flox[on] mass flow controller was especially developed for use in the heavy industry. it is suitable for all noncorrosive gases like, air, nitrogen, argon or hydrogen. The measurement is based on the principle of thermal anemometry. The measuring cell is located in the bypass. A gas flow of max. ca. 1 Nl min.-1 undergoes a constant energy feed by means of an electric heating element. The thermal feedback is converted to an electrical signal and then linearized through a calibration curve to give the effective flow rate.